2017 was designed by God to be a harvest year for SLG. 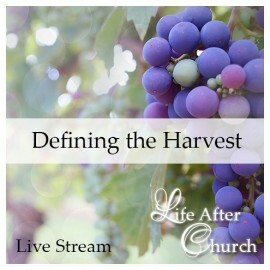 This video explores the objective and obstacles to harvesting for each of the Redemptive Gifts. Cost includes 428 days of access after purchase date. 2017 is long past, but the principles regarding what each Gift should harvest are timeless principles. When we are pursuing a harvest God did not design us to have, we will only be frustrated. Arthur begins by looking at individuals who have sowed diligently and extravagantly but not seen the harvest they should expect. He looked at some of the ways the enemy blocks the harvest. The heart of the teaching is looking at each of the Redemptive Gifts through the grid of what they should harvest, using biblical examples for each one. The Holy Communion service is centered around Jesus embracing His design. He is Redemptive Gift of Exhorter and He experienced great rejection of His design and calling from many sectors of the culture. Even though the community despised Him and His gift, He remained true to His design and valued His gift when nobody else did. This is a powerful artform. even when God leads you into traumatic failure and abandonment, it is with the strategic purpose of drawing out the treasures in your spirit. it was like balm on my soul to hear the different portraits of King Father’s individual dealings with the each redemptive gift in His work to bring forth His desired harvest. Arthur reminded me that Elohim has purposed to work an eternal game plan through every one of our lives; and, if we allow His wisdom to run its full course, the harvest may not necessarily conform to the ideas we have in our minds but it will certainly carry the weight of glory. The Live Streams have all been Excellent! They have all brought fresh teaching that you don't get other places. Arthur starts by talking about a couple fairly common things that can hinder our harvest. Then using people in the Bible that represent each of the redemptive gifts, he shows the unique passions, challenges, and harvest for each of them. He brings a greater understanding of each of the redemptive gifts and the processes they go through to harvest. As always, the prayer and communion at the end was powerful! This teaching brings a fresh perspective to the familiar redemptive gifts. It helped me narrow in on my personal goals and hugely validated my previous sowing by giving language to the harvest I can expect to receive. Arthur out did himself with his choice of Bible characters to illustrate each of the 7 redemptive gifts, bringing fresh hope and inspiration to to each and every one. Well worth watching! Gotta have the right seed! These are certainly not the kind of sermons you'll hear on a normal Sunday morning. If you're here, you're looking to go deep. In this stream, Arthur plucks stories from scripture to show how G-d does Mercy season harvest. The breakdown of right seed and right harvest is modeled and clearly defined and its all crowned by a powerful communion time. I have never read those stories in the way they are portrayed and will never read them the same. I so appreciate the uniqueness of perspective and am happily challenged to look at my life and take stock of where it is vs where it should be and how to realign. Don't want to miss a thing! This live stream was filled from start to finish with true authenticity, elegant presentation, and very real spiritual impact. I love the Biblical examples of each redemptive gift and their applications for each person’s unique harvest in this Mercy season -- something to ponder and, even more, to use in walking out the pursuit of our design, God’s custom-tailored harvest for each of us. Along with the teaching, I was especially touched by the laying forth of Jesus in His “un-prettiness”…. the hope given for all who wonder if their harvest has been lost or passed them by… the powerful Scriptures during communion… and as we don’t understand even a fraction of our harvest, yet ask for it in faith, it’s the harvest of intimacy and power according to our individual design! The flavor of this stream was undramatic, incredibly important, and something has been planted in me that I know will grow through time, for which I’m very grateful. I’ve never even considered how harvest in this season would be customized. I realize now that it’s key, and needs intentionality as well as faith. I so appreciate this clear, forthright, practical, hope-producing, and targeted transformational message, along with the richness of communion. Thank you. And how do you handle the gap between the two? This is not an original struggle. Here are some tools for improving your posture in the place of tension.